Have you ever thought about working in policy, or just dropping everything to travel the world and gain insight to how “everything” works? Then why not start by applying to the Global Health Corps? 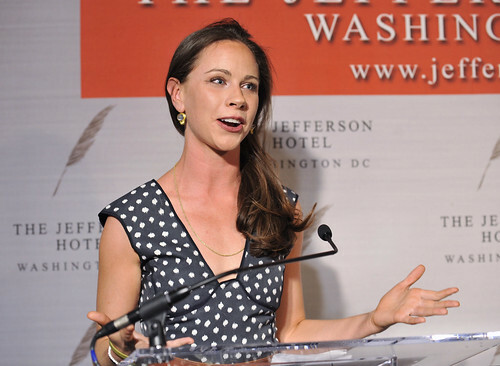 Started in 2008 by a collection of like-minded and global-conscious individuals like Barbara Pierce Bush, her sister Jenna, Jonny Dorsey and Dave Ryan from FACE AIDs and Google’s Charlie Hale and Andrew Bentley. The Corps announced last week what positions would be avaliable for 2013 applicants. We reached out to the president of the Global Health Corps, Barbara, over email to find out what makes an ideal GHC candidate, how applicants could prepare for the role and the start of the corps. President George W. Bush named Dr. Mark Dybul the US’s Global AIDS Coordinator and very successfully led the President’s Emergency Fund for AIDS Relief. He now takes the world’s stage as the leader of The Global Fund to Fight AIDS, Tuberculosis and Malaria. Dr. Dybul was at Georgetown University and assisted many health non-profits including David and Susan Axelrod’s CURE Epilepsy and Barbara Bush’s Global Health Corps. He will relocate to Geneva. Click here to read more, or the official press release below. The work of Global Health Corps was honored at a reception with GHC CEO and Co-Founder Barbara Bush, Thursday evening at the historic Jefferson Hotel. GHC believes that a global movement of individuals and organizations fighting for improved health outcomes and access to healthcare for the poor is necessary in order to change the unacceptable status quo of extreme inequity. GHC works to strengthen this movement by recruiting, training, and supporting future leaders, providing opportunities for young professionals from diverse backgrounds to work on the frontlines of the fight for global health equity in year-long fellowships. The exclusive reception in D.C. included remarks by former First Lady Laura Bush, as well as Barbara Bush, co-host Ambassador Mark Dybul, Ambassador Melanne Verveer and GHC fellow Lilly Bertz. Guests included Dr. Anthony Fauci, Ambassador Eric Goosby, Jen Kaplan, Susan McCue, Jim Jones, Ana Morse, Bob Barnett, Betsy Fischer, Ed and Shirley Henry, and Robert Higdon and David Deckelbaum. The Exxon Mobil Foundation announced today a $250,000 grant to GHC launch the ExxonMobil Fellowships in Global Health. Eight young professionals are to be chosen for skills-based, year-long fellowships grant to GHC to work on the frontlines of pressing global health issues. HONORARY EVENT CHAIRS were The Honorable Joshua Bolten, The Honorable Stephen Hadley, Constance Milstein de La Haye St. Hilaire, and The Honorable Condoleezza Rice and a hist of Congressional biggies. 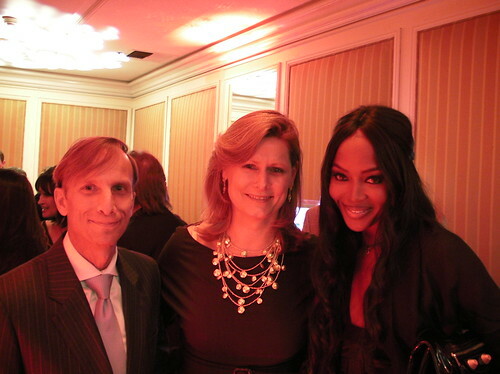 The co-hosts were Dr. Mark Dybul, Anita McBride, David Vennett, Gordon Johnroe and Tammy Haddad.